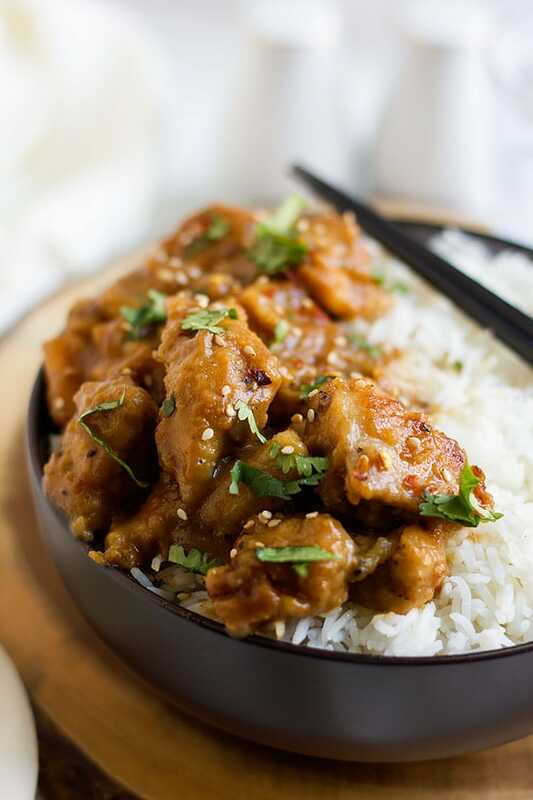 Honey Garlic Chicken is a recipe for chicken breast or chicken thighs smothered in a honey garlic sauce. This dish will make it to your dinner table in less than 20 minutes. 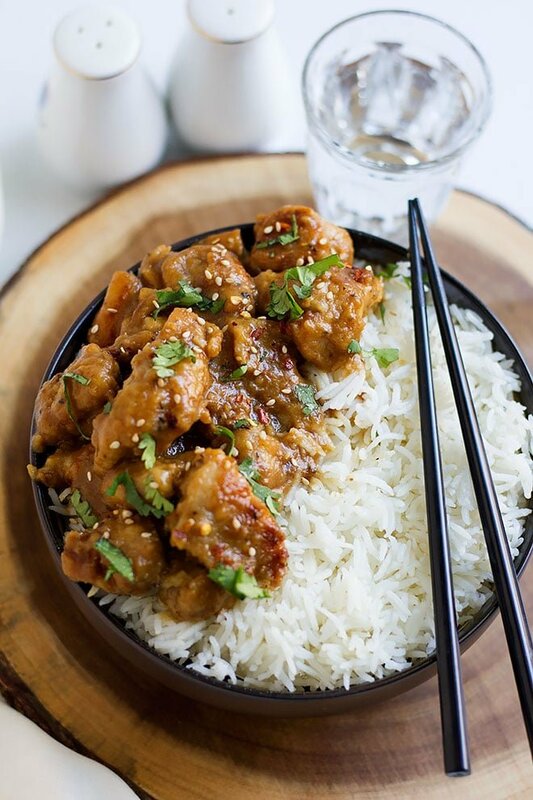 Serve honey garlic chicken with plain steamed rice or vegetable fried rice. When I first heard of honey garlic chicken, I thought (Honey and chicken!!) 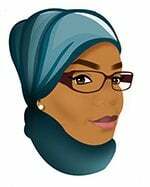 the idea was not appealing to me, but when I tried it, I became a fan. The combination of the garlic sauce and the amount of honey was perfect, and now I’m thinking of using the same honey garlic sauce in a seafood dish. 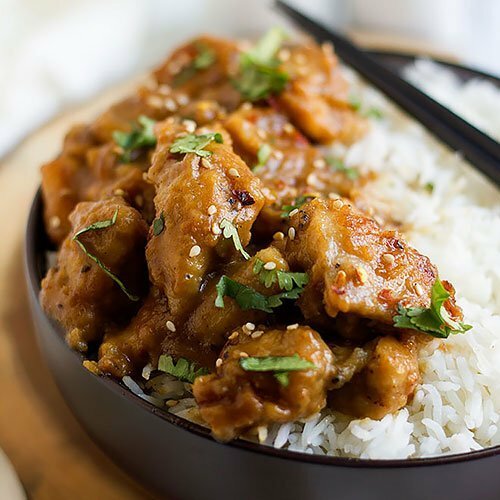 Honey garlic chicken tastes good with either part of the chicken, but when you make the sauce, I would suggest that you always use low sodium soy sauce. Controlling the amount of salt in your dinner is key, and if you decided to use more soy sauce for this dish, then regular soy sauce will ruin it for you. 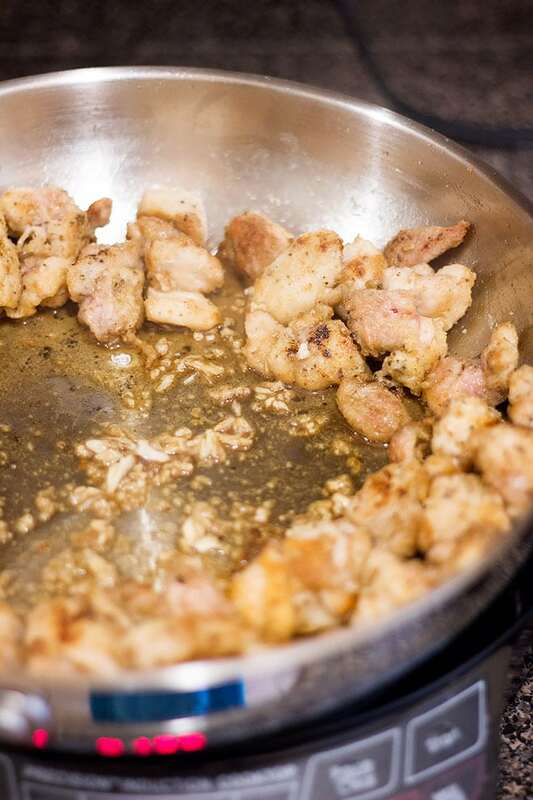 Another tip while cooking honey garlic chicken is to cook on high heat but reduce the heat when adding the honey to medium. I have used skinless bite-size chicken, so cooking on high made this dish ready in no time. 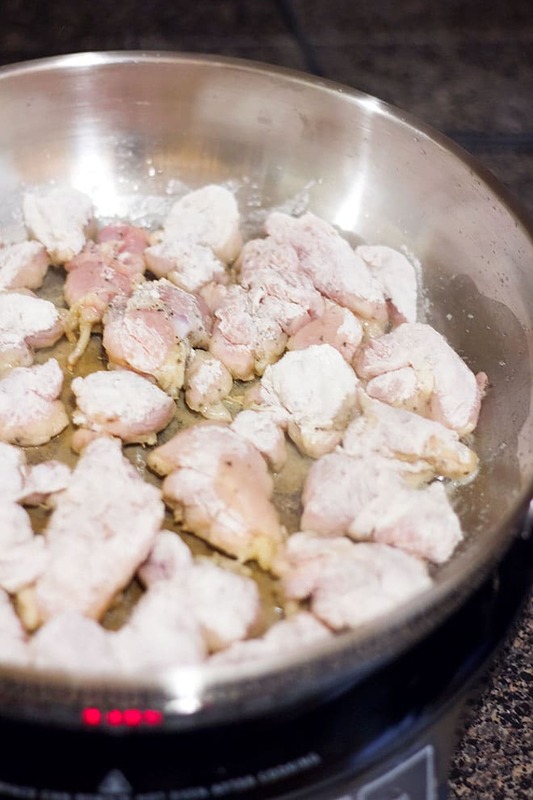 In case you want to cook with whole chicken breast or with whole chicken thighs with bones, keep the heat high for the first 4 minutes and then reduce it to help the chicken breast or thigh cook perfectly from the inside without getting it burnt. Make this recipe gluten-free by omitting the dusting with flour part or use corn starch instead. The role of the flour here is to make the sauce thicker and richer, and skipping it won’t affect the taste. 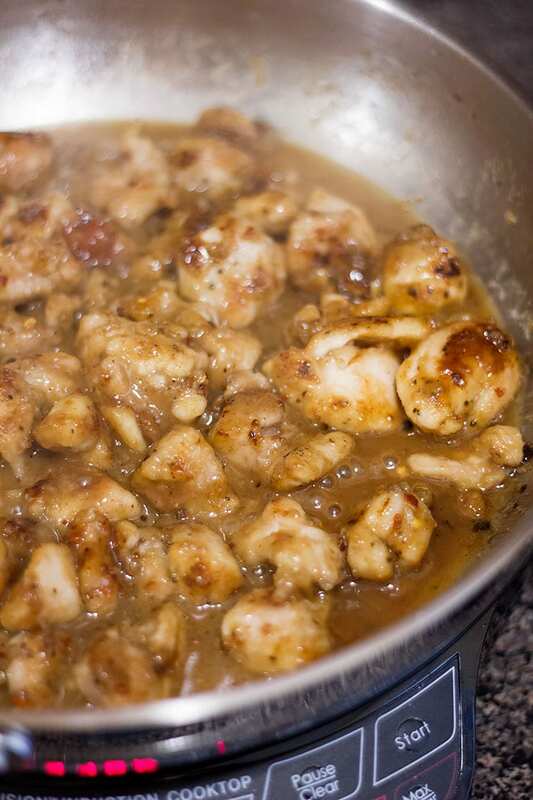 In some recipes, the amount of the garlic honey sauce is enough to coat the chicken, but my family loves more sauce in their honey garlic chicken because they enjoy having it with rice. 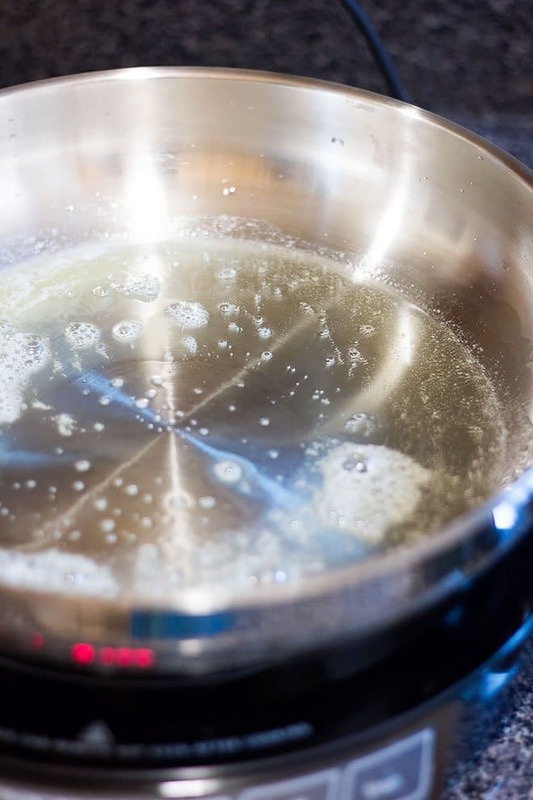 You can have less sauce if you reduce the amount of water used in this recipe to half. 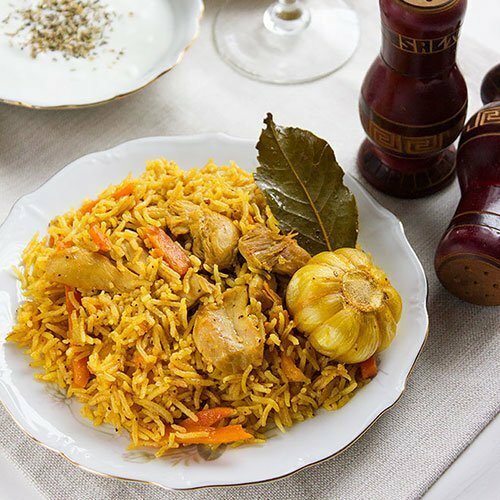 This dish is one of those that you can make your own easy, but as always, I would like you to try it as per the recipe mentioned below and then add your touch to it! 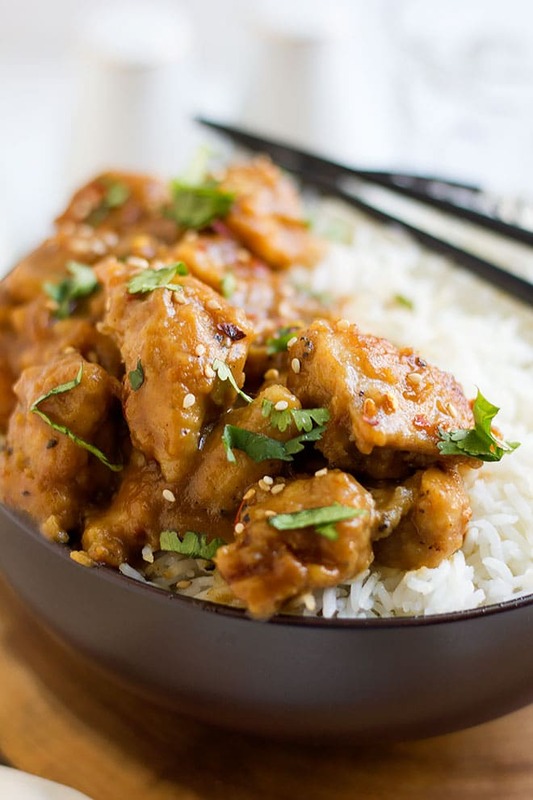 If you like the chicken with sauce or gravy, then have a look at my Smothered Chicken recipe, but if you prefer an Asian touch, go ahead and give my Chicken Manchurian a try. Make dinner interesting by cooking this delight. 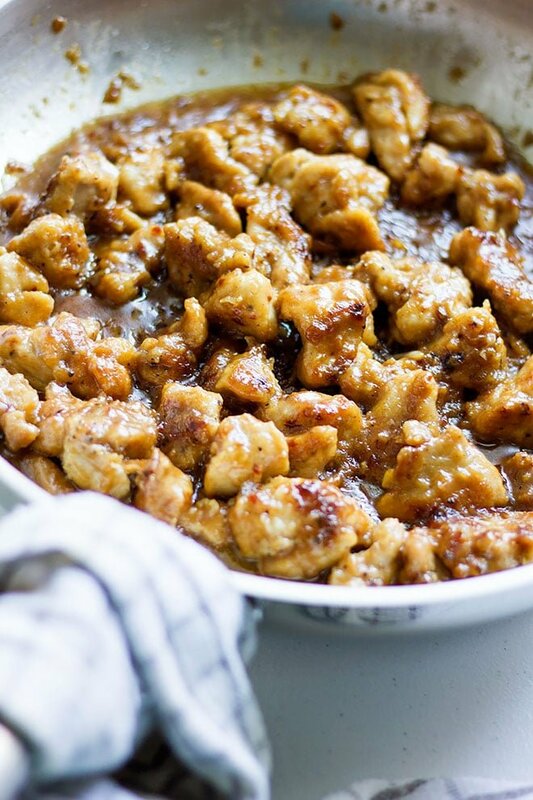 Tender chicken breast or thighs in honey garlic sauce. Your family will ask for it every week! Season the chicken with salt and black pepper. 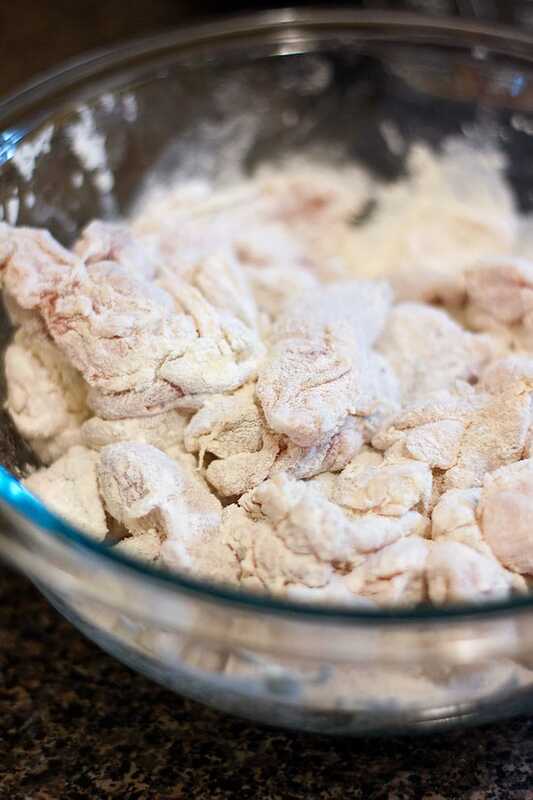 Dust the chicken with flour. In a hot pan add the butter and oil. 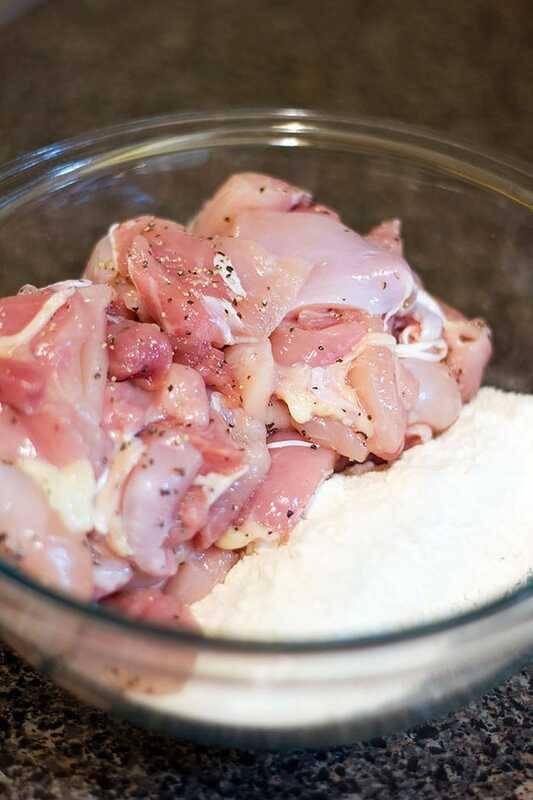 Add the chicken and cook until light brown patches appear. Add the garlic, soy sauce, and vinegar and stir the chicken while on medium high. Add the honey and stir for two minutes. Add the water and cook until the honey garlic sauce is thick and the chicken is thoroughly cooked. Serve immediately on plain rice or with bread. 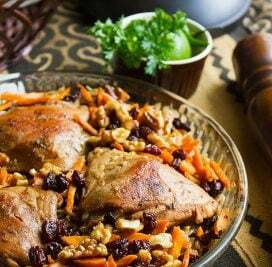 Your recipes are always great and will definitely try it.. I am sure.., my boys will love this.. 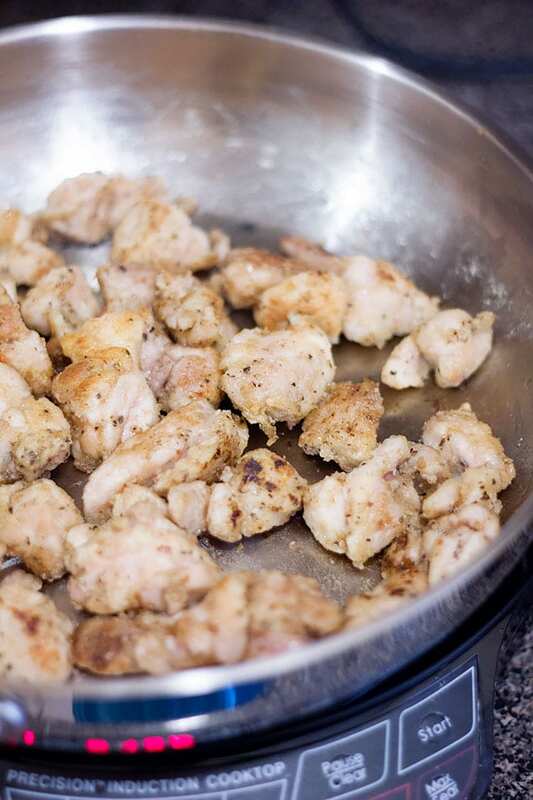 I am loving the glistening on the chicken pieces.. this recipe is surely a keeper!